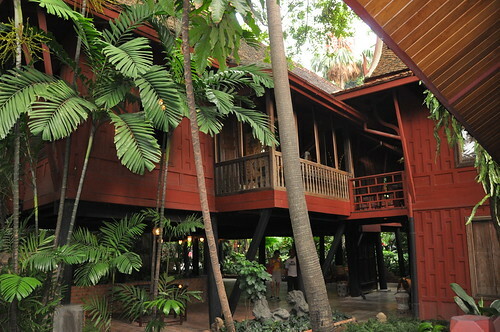 While researching on this Bangkok trip, the Jim Thompson House kept coming up the search. It’s very curious because the name doesn’t even sound half Thai. So who is he? In one sentence, Jim Thompson is the guy responsible for the multi-million dollar industry of Thai Silk today. He was an American architect who found his way to Asia (Bangkok) during the war when he was in the army. He fell in love with Asia and declared Bangkok home. During that time, silk making in Thailand was a dying craft, until he found it. He brought some silk back to New York, met with then Vogue magazine editor, and the rest, as they say, is history. He established Jim Thompson’s Thai Silk Corporation and is now the biggest exporter of high grade Thai silk. What I found most intriguing though, is his mysterious disappearance during a holiday in Malaysia. It was said that he went on a walk one day and never came back. His body was never found. Actually, I thought there would be more theories or gossips about the mystery visiting his house. Hmmm… There was none. He he. 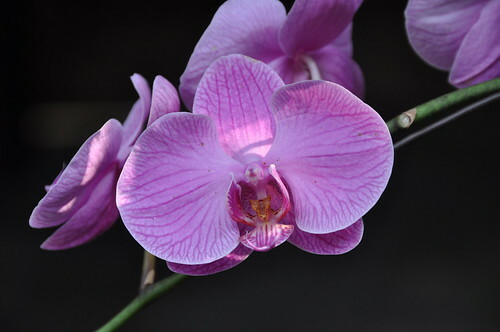 He led a colorful life according to records and was well loved in Thailand. He built a brilliant home in Bangkok using 6 traditional collapsible houses, combining it to one multiple room house. 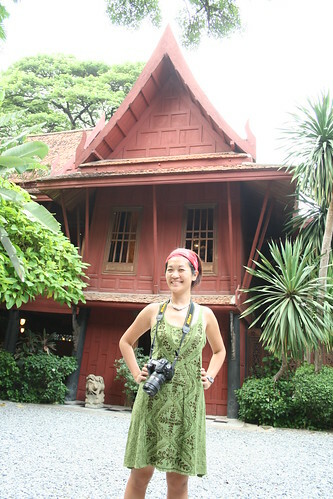 The house is preserved with his original furnitures and art collection and now became a museum, the famous Jim Thompson House. On our last day in Bangkok, steering away from more shopping, I decided that I would check this out. For the same reason, Chikara decided to come too. So we dropped Pincky and Girlie at MBK, famous shopping center stone throw away from the “house”. The entrance fee is 100Baht and it comes with a compulsary guided tour (in all major languages – Thai, English, Mandarin, Japanese, Spanish, French++). So Chikara and I joined different tours, me in English, him Japanese. The marketing group of JTH is doing a really good job! I mean there are a lot of tourists coming to visit this house. While I find the house beautiful with lovely garden and artworks, and the tour organizing impressive, I would only give the whole experience 3 out of 5 star. It’s not bad, it just lacks significance. Anyway, there is a huge Jim Thompson store where you can shop for elegant Thai silk scarves and a quaint coffee shop.